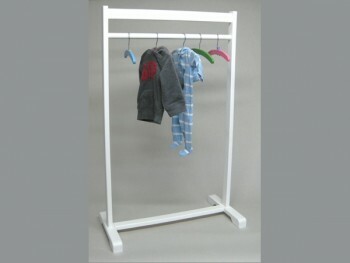 Galán child wooden lacquered in white, ideal for kids bedroom. Excludes hangers colors that appear on the images. 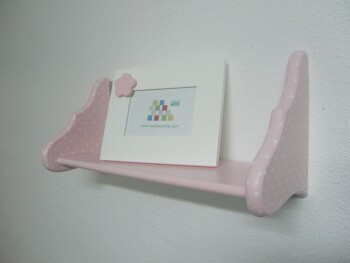 Shelf painted pink with polka dots in white. It matches the collection of polka dot child handles and hangers. Perfect with the child's bedroom. 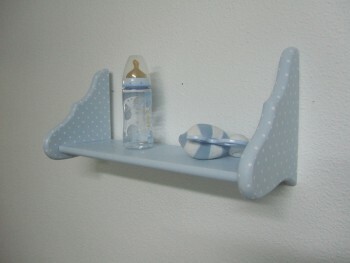 Shelf painted blue with polka dots in white. It matches the collection of polka dot child handles and hangers. Perfect with the child's bedroom. 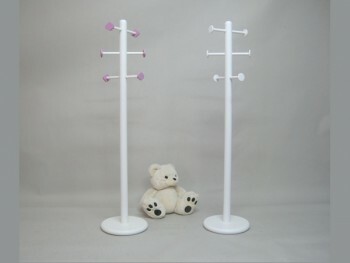 Measurements 50 x 15 x 22 cm. White lacquered cabinet ideal for both books kept toys. The side holes allow maximize their large storage capacity. Measurements: 60 x 60 x 60 cm. The name trimmed and painted in a color is optional, as is 18 cm. height.